Xiaomi is a privately owned smartphone company that designs, develops and sells smartphones, mobile apps and consumer electronics. Xiaomi was co-founded by 8 partners on June, 2010. Its institutional investors included Temasek, a Singaporean government owned investment vehicle and mobile processor brand Qualcomm. Xiaomi devices are manufactured by Foxconn and Inventec. Xiaomi is called the "Apple Of China". Xiaomi released its first Android based firmware MIUI on August 2010 and their first smartphone, Xiaomi Mi1 on August 2011. 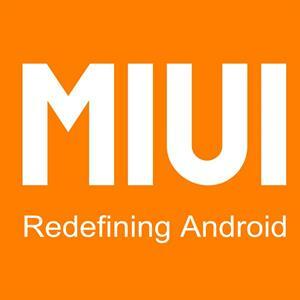 It was shipped with its MIUI firmware which closely bears the similitude of Samsung's TouchWiz UI and Apple's IOS UI. Their second smartphone, the Xiaomi Mi2 came out in August 2012. The device is equipped with Qualcomm's Snapdragon S4 Pro APQ8064 which hosts a 2GB RAM and an Adreno 320 GPU. In addition it also boasts a 4.3 inch 720p display. It has in its arsenal an 8MP autofocus camera with LED flash, HDR and image stabilization which is capable of taking full HD videos. The Xiaomi Mi2 also has a secondary 2MP camera. The company on September 2013 said that it had sold over 10 million Mi2 devices. On September 2013, company announced its Mi3 smartphone which runs either on a 2.3GHz Snapdragon 800 or NVIDIA Tegra 4 chipset and Adreno 330 GPU. The Mi3 has a 5 inch full HD IPS display. Similar to the Mi2, the Mi3 has a 13MP autofocus camera but instead of the LED flash this one comes with dual LED flash. Xiaomi's Mi3 smartphones made their debut in March. The Mi3 batches were sold out within 2 minutes of the opening day sale in Singapore. The company also plans to start sales in Malaysia. 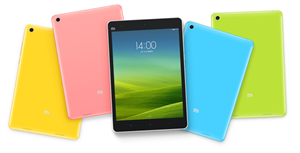 Xiaomi announced the launch of its first tablet, the Xiaomi MiPad on the Xiaomi New Product Launch Event 2014. It is the first device to use the NVIDIA Tegra K1 2.3GHz quad-core processor with 2GB RAM. 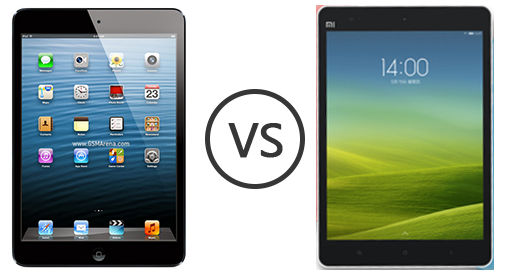 The MiPad hosts a 7.9 inch 1536p display. 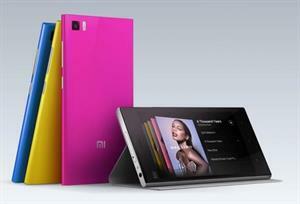 Company officially announced the launch of its tablet smartphone, the Xiaomi RedMi Note on March 2014. It hosts a 5.5 inch HD IPS LCD display with OGS(One Glass Solution) technology and a 1.4 or 1.7GHz MediaTek octa-core processor and a Mali-450MP4 GPU. The RedMi Note also hosts a 13MP primary camera along with a 5MP secondary camera. The RedMi Note comes in two variants. One with 1GB RAM and 8GB internal memory and the other with 2GB RAM and 16GB internal memory. Xiaomi on April 2014 purchased Mi.com for a record $3.6 million making it the most expensive domain name ever bought in China. It replaced xiaomi.com as the official website of Xiaomi.inc. Xiaomi's marketing strategy is often described as rising on the back of the 'cult of Apple'. Lei Jun CEO and Chairman at Xiaomi carefully cultivated a Steve Jobs image which included jeans and dark shirts and Jobs' style product announcement. Lei Jun has been categorized as a counterfeit Jobs. Xiaomi's strategy has been categorized as counterfeiting philosophy, mindset and an icon. Despite repeated comparisons with Apple.inc, Xiaomi maintains that it embraces a different set of principles. Xiaomi does not have third party distributors nor does it have any retail stores. Xiaomi products are sold exclusively through the company's official website. Skeptics call the products non-innovative and low priced imitations of iPhone without any significant hardware or software advantages. Xiaomi's ability to customize software based on user preferences sets it apart from Apple.inc. 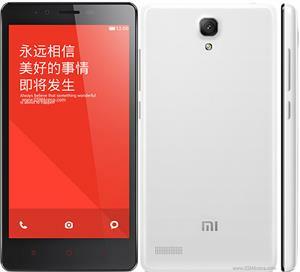 Here are some of the important hardware/software specifications of the Xiaomi Redmi 1S. Also included are some of the pictures/videos taken on the launch of this device. As mentioned by the author here, Xiaomi is indeed regarded highly as the "Apple of China". Xiaomi phones have already managed to grab the attention of people using them in China and Singapore. With such a positive feedback, Xiaomi aims to target huge volumes in India with their cheap pricing strategy. It amazes me to see Google Nexus 5 features being made available at a price as low as Rs.13,999. They have established 36 service centres in India and they plan to provide online support as well. During the launch event of Xiaomi smartphones in India, the officials stressed on getting the Android version updated as soon as possible for all Xiaomi smartphones. With their Flipkart tie-up, Xiaomi smartphones have garnered 100000 registrations from all over India so far. 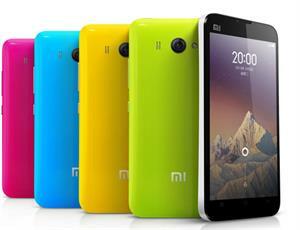 Xiaomi MI3 smartphone goes on sale on 22 July, 2014 at 12 p.m. It will be interesting to see how fast the Xiaomi smartphones go out of stock on Flipkart.